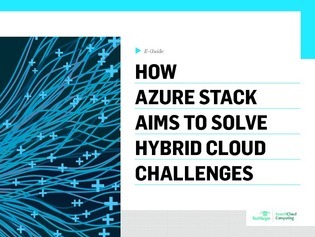 Can Azure Stack really solve your hybrid cloud challenges? Most IT teams want to keep their operations on both shared infrastructure as a service and private infrastructure, but private virtual machine infrastructure and public cloud are based on different technology stacks. Microsoft's Azure Stack intends to bridge this gap and tackle other hybrid cloud challenges. What potential does Azure hold for your IT team? How will it impact the different aspects of your cloud computing strategy?